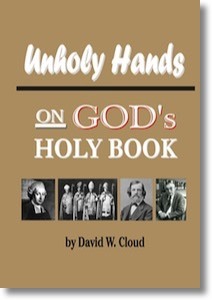 A shocking study of the history, work, and spiritual condition of the United Bible Societies, including documentation of their powerful influence throughout the world. This carefully-researched and well-documented report should be read by every Christian and especially by missionaries. The author shows the growing influence of the UBS and demonstrates how it is systematically replacing faithful versions of the Bible with corruptions. Written by a missionary who has witnessed firsthand the sad and unspiritual havoc wrought by corrupted versions of the Bible promoted by the UBS.